HAWKER SHOT IN ROAD RAGE BRAWL! A ROAD rage fight left an innocent street hawker in hospital and two men behind bars. This comes after a 29-year-old taxi driver had an argument with the driver of a maroon Toyota Corolla. According to Joburg Central police spokesman Captain Xoli Mbele, the two men had apparently been cutting each other off in traffic. The taxi driver pulled the other driver out of his car and assaulted him using his hands. The 36-year-old Corolla driver pulled out his firearm and allegedly shot one of the hawkers during the scuffle. The incident happened at the corner of eppe and Delvers streets in the CBD on Tuesday. The Corolla driver rushed to the police to report the incident. “He was arrested and charged with attempted murder. 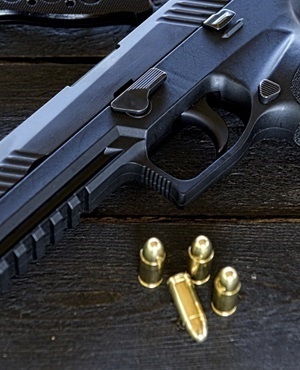 His firearm has been confiscated,” said Mbele. Mbele said the victim was shot in the lower body and taken to hospital. The taxi driver was also arrested and charged with assault.